Home > Book Review > Book Review: Unmarried But Not Unimportant: Single Women: Challenge to the Church? The first four chapters of the book: "Society," "Church," "Husband-hunting?" and "Attitudes," outline the circumstances of single women, with the first chapter containing an abundance of statistics pertaining to single life. The next three chapters contain an extensive use of quotes from the women interviewed, and although Aune comments on the women's thoughts and experiences, she offers no real assistance in either dealing with or embracing singleness. These chapters can, however, help the church gain insight into what single women encounter and provide singles with a true sense that they are not alone in their experience. The true merit of the book is ultimately found in its final two chapters, "Theology" and "Recommendations." 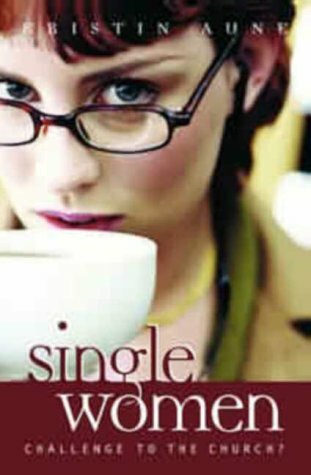 In her treatment of the theology of singleness, Aune looks at both the Old and the New Testaments, but deals primarily with the New Testament as it contains most of the biblical references to singleness. This chapter discusses the importance of singles in Jesus' ministry and the treatment and freedom he offered single believers, especially women. It also points out that Paul viewed singleness as a great gift of God, even recommending in his letter to Corinth that people should remain single in order to focus on their relationship with Christ. The present church oftentimes fails to recognize singleness as a gift and readily treats all singleness merely as "a period of waiting for a partner," Aune notes. The 10 recommendations in the final chapter offer a corrective to the common misinterpretation of singleness. For instance, in her third recommendation Aune states, "Let [single women] use their wide range of gifts to serve God and the church. Do not simply expect them to take on the jobs no one else wants. Do not discriminate on the basis of marital status." Valerie J. Nystrom is a CBE supporter who has contributed articles for Mutuality, including a book review on Kristin Aune’s Single Women: Challenge to the Church? Title: Single Women: Challenge to the Church?